We all know this peppy Spice girls song from the nineties, don’t we? 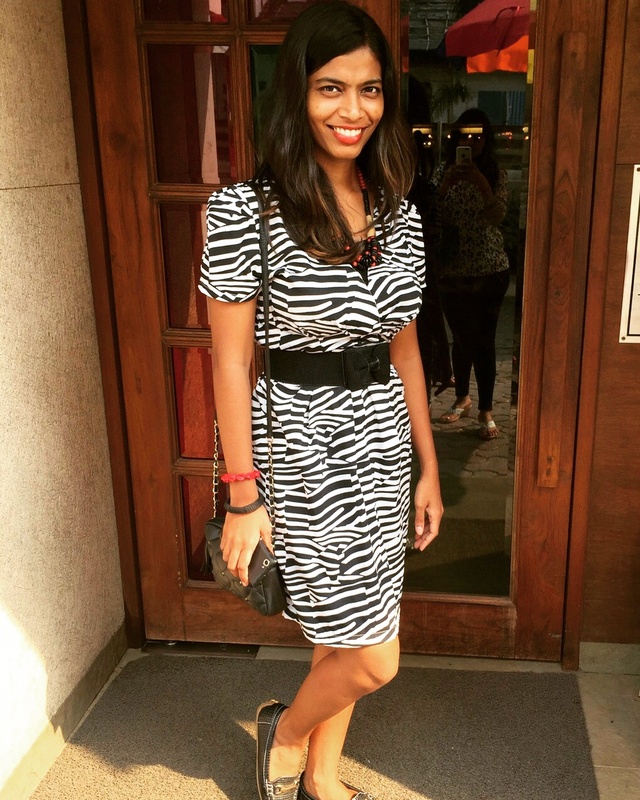 Well, yesterday I went for lunch to this place called SpiceKlub at Lower Parel with college friends. Hence this special Spice Girls title for this post. I’m glad a few of us college pals have managed to stay in touch despite us having moved onto different walks of life. Lately we’ve even been successful in planning a meet at least once a month, which is super great. 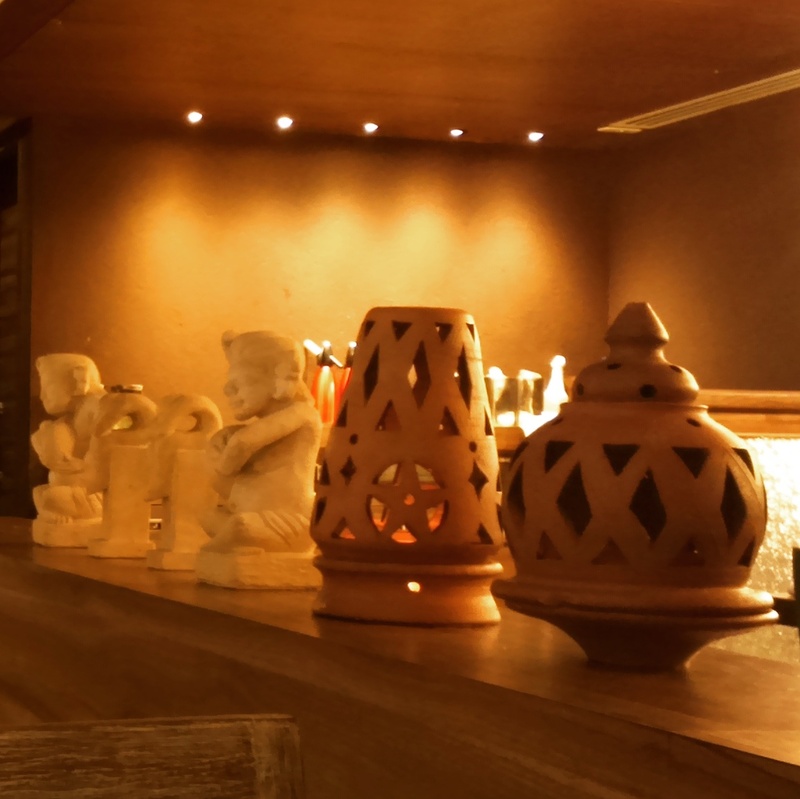 SpiceKlub, a Veg-only restaurant in Lower Parel boasts of modern Indian cuisine. 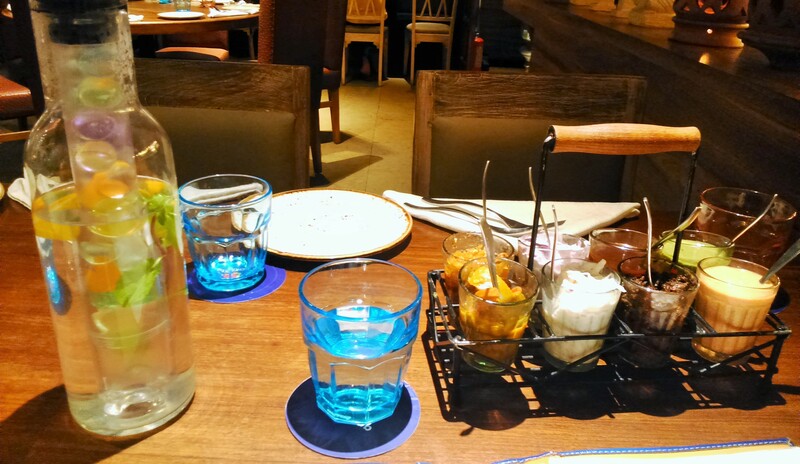 While planning our monthly meets, we girls usually opt for restaurants that serve both veg and non veg food. It is safe to say that I love meat in my meals. So when SpiceKlub was decided, the restaurant per se didn’t get me all excited, even though I had heard great reviews of the place. We made a reservation 3 days prior as we were informed it’s really difficult getting a table. However, On reaching there at 12 noon (our reservation was at that time), there were many tables available. So I’m not sure if this reservation thing is just a strategy or it’s really that difficult! As I reached before my friends, I had enough time to check the restaurant, the menu, the washroom, the ambience and few other things. I noticed couples walking in, families with children and college going crowd. The instrumental classical music played in the background seemed to be in sync with the overall arrangement at the restaurant. Waiting for others to join me even gave me the chance to look at the steeply priced items in the menu. To be honest, I rolled my eyes when I read the price of ‘Dahi chaat’. I mean close to 400 bucks, like really!! 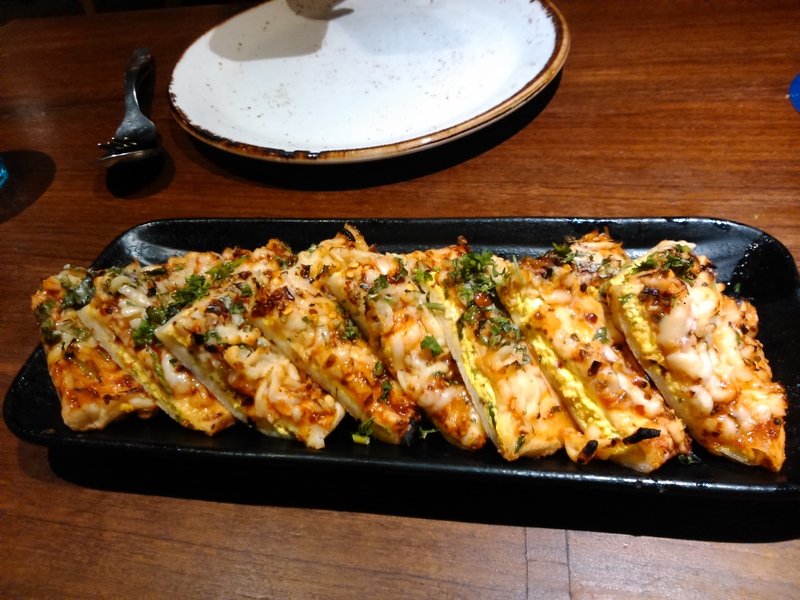 We then called for ‘Kesari Paneer Tikka’ and again, oh my! 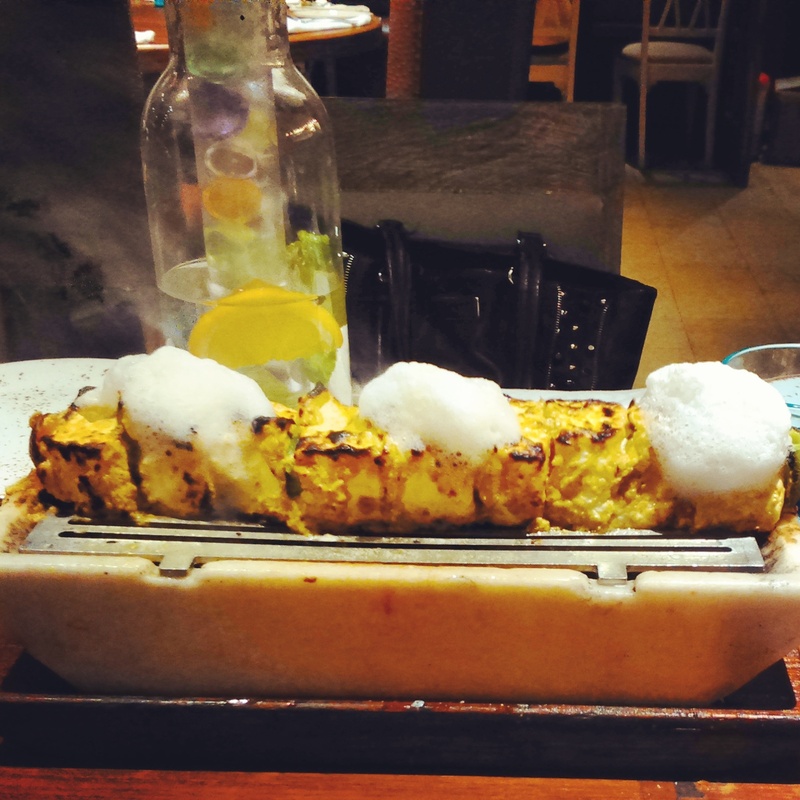 The paneer was beautifully barbecued, it was soft, tender and melted in the mouth. I’m not over exaggerating. Even adding those little cutely kept sauce dips on the table added to the dish’s flavours. With these 2 appetizers , the 3 of us were so stuffed that we decided instead of ordering main course, we’d get just another appetizer and then keep space for dessert (which by the way was excellent!) Appetizer number 3 was Naanza. This dish looks like mini pizza slices topped with lots of cheese and spices. Each mini slice was extremely heavy and rich. It was a challenge for the 3 of us to finish 8 pieces! Had I not known that these were made with naan (Over baked flat bread), I’d easily believe these were pizza slices. In case I did not mention, this dish too was a hit. I’m not biased in this review at all, it’s not even a sponsored post! Trust me, I did not miss meat at all in this meal. 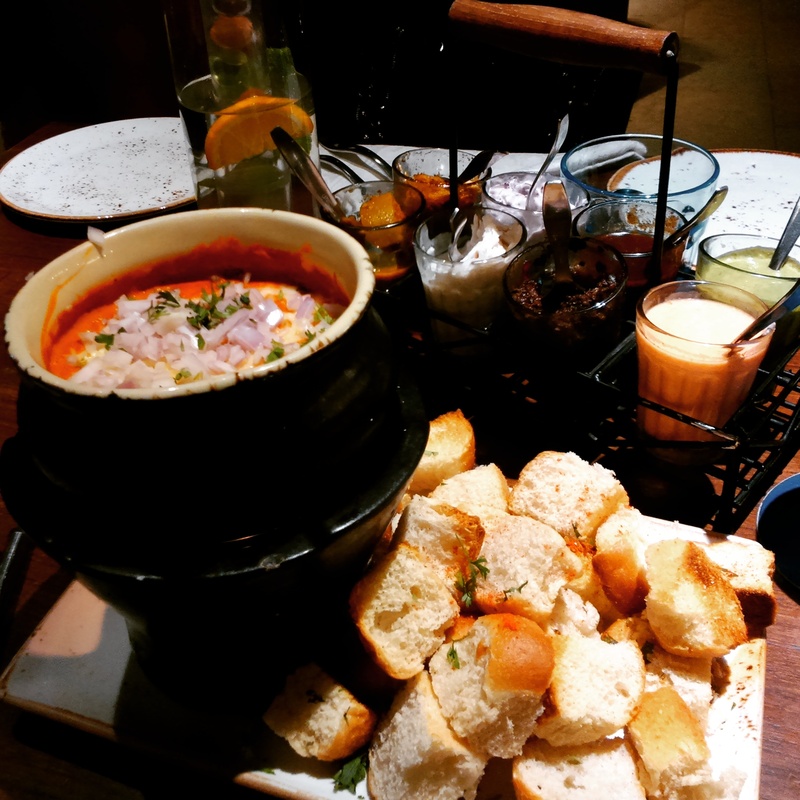 Every dish is worth the amount and can definitely fill at least 2 people’s tummies. My favorite part of any meal- dessert was the best. Experience wise, Presentation and Plating wise as well as taste wise. I love chocolate is a well known fact to many. Among all those interesting options we ordered for ‘Soap Cake’. Soap cake is actually cake in the form of a soap bar. 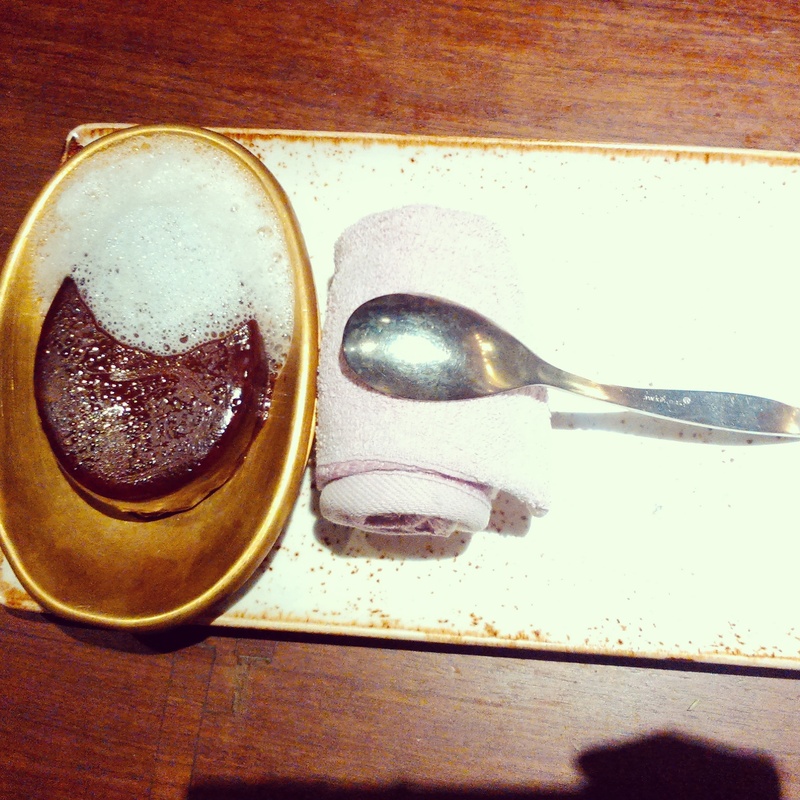 It is placed on a dish that resembles a soap dish and even has dairy foam on it to make it look like soapy lather!! Super innovating I tell you. They serve it with a towel so that you can use it to wipe your hand after messing your hands (although it’s not all that messy). It tasted great, but full marks for the presentation. As waiters took food to the other tables we saw some greatdishes there too. Dishes like Test-tube pani puri, de constructed dhokla and paan kulfi with liquid nitrogen looked extremely enticing. Ambience and service was upto the mark, we didn’t have any reason to complain. This meal made the pocket light by Rs 2000/- for 3, but the experience and food was totally worth it.